When I do projects for Organized Clutter, I just never know which ones will be the most popular with my readers. 1. 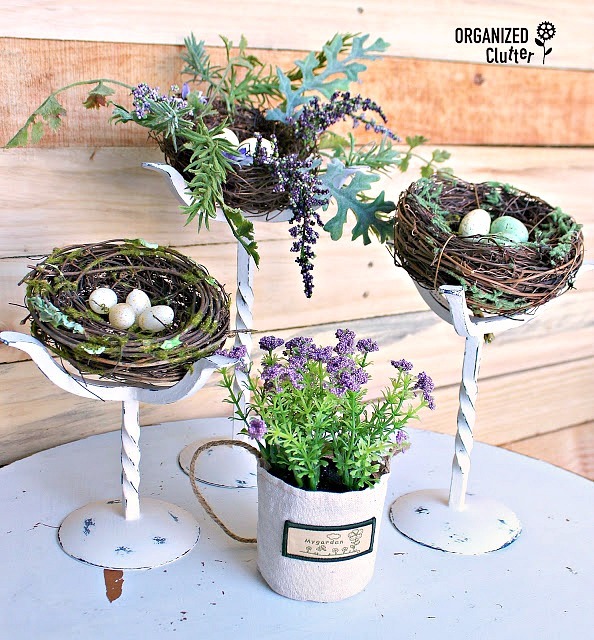 Thrift shop iron candle holders became spring bird's nest holders in my first popular post of 2017. A great project does not need to be expensive or difficult. 2. 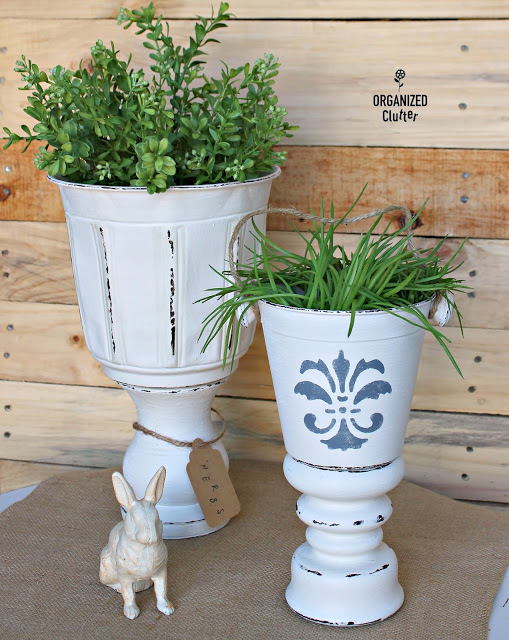 Adding height to my vignettes almost always adds interest, so in spring popular post #2, I added thrift shop candle holders to a thrift shop flowerpot and a metal container to make urns. 3. 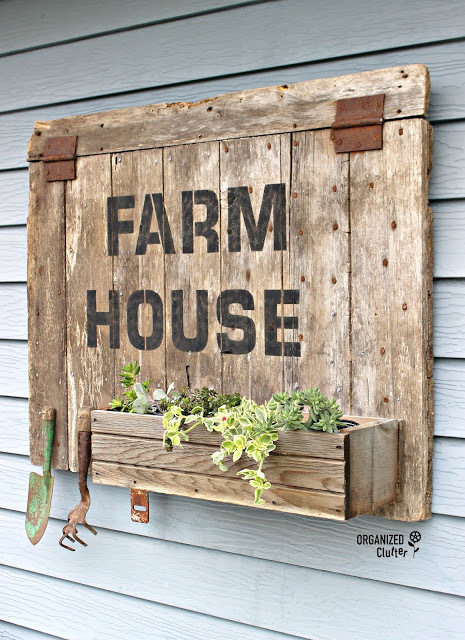 Now on to a late spring junk garden popular post that started as a barn door, and ended up as rustic sign/planter and garden tool holder here. 4. 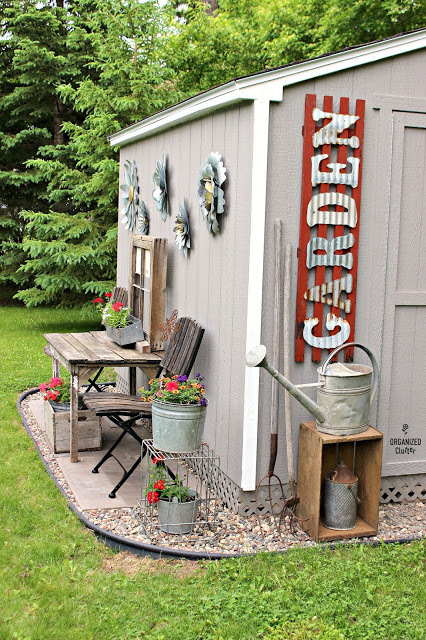 My new garden shed/landscaping/junk garden decor project post was a super popular post in 2017! Even a boring shed kit can be fun! 5. 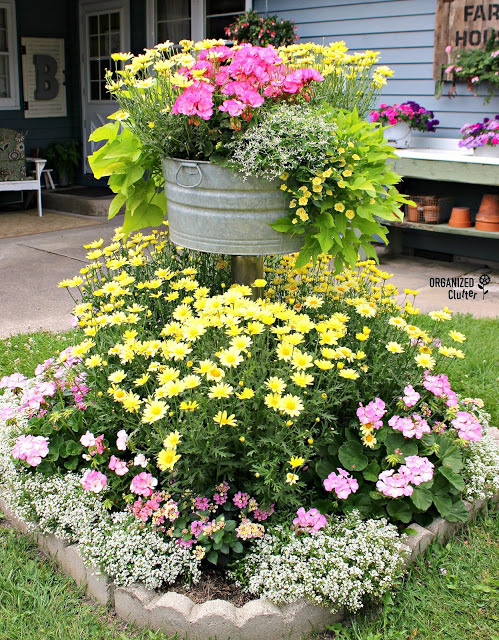 My annual junk garden tour is always one of my most popular posts, and this year was no exception. 2017's tour featured a garden tour video here. 6. 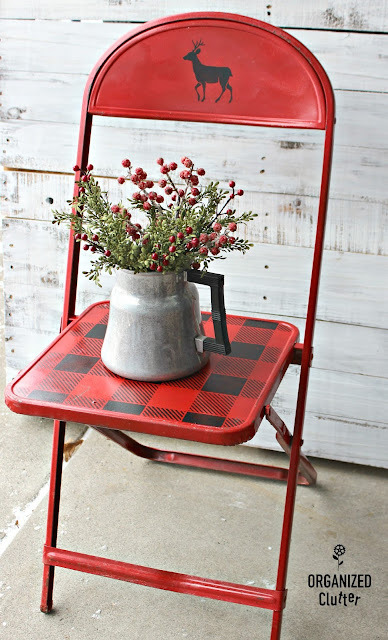 Last but not least, this little thrift shop folding chair up-cycle was my most popular Christmas post of 2017! If you missed the transformation, see it here. I’m excited to have you on thru Instagram! Can’t wait to see what fun new projects you create this year!! I've been following you for awhile now and I get excited when I see an email from Organized Clutter in my inbox. I love all your redos, especially the ones with the buffalo check stencil. I ordered for myself as a christmas present and I can't wait to try it - you are a true inspiration. Looking forward to 2018 - Happy New Year! They are all wonderful! I just love the darling birds-nests!